At Anteater, customer service and satisfaction is our #1 concern. We are small family Owned and Operated company servicing the greater Philadelphia Area. We understand the value of keeping your family and home safe and free of pests. With this in mind, we strive to educate our staff in the safe application of ALL pest control agents and you will receive a detailed report of any insecticides applied in and around your home. 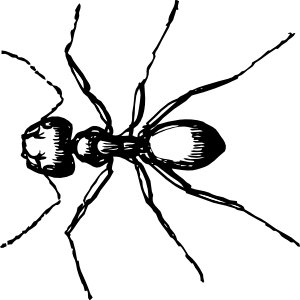 With more than 15 years of experience in pest control across the United States, and an owner trained by the best at Purdue University, we provide a wide variety knowledge in the safe removal of vertebrate pests as well as those other pesky invertebrate creatures that frequent every home or business. We aim to effectively control your problem without adversely effecting the environment. All the materials Anteater uses are EPA approved for indoor and outdoor use. We are a small company with a BIG reputation, and our livelihood is the satisfaction of our customers. We staff only certified and registered inspectors who will provide you with educated, dependable, and reliable service. Anteater Pest Management knows how valuable your time is, so we offer set appointment times for your convenience. CALL or EMAIL today to arrange for an appointment .